Sitting around the dinner table is such a lovely bonding time for families, however when it comes to little ones it’s easier said than done! 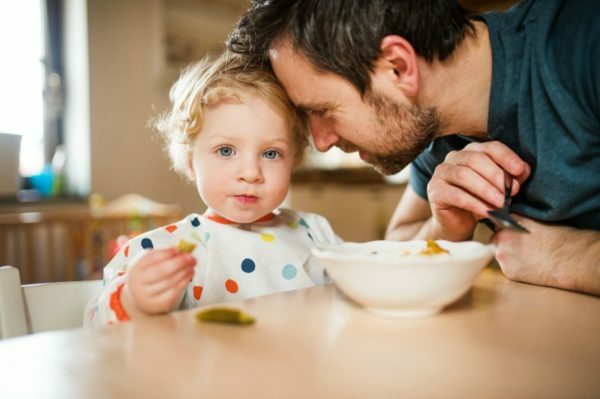 If you have a toddler who’s constantly on the move then here are some simple tips to get them to not only stay put, but actually eat as well! Unless you’re having your family dinners early (i.e. no later than 5pm), chances are your toddler is going to be starving by the time you sit down. While you may think this will help them to stay seated, it could have the reverse effect because they’re now super cranky. To avoid this you can feed your child their dinner (or just something nutritious like cut-up raw veggies) while you’re preparing yours. Then, when it’s time for the family meal, get them to come and sit down again for a smaller snack such as crackers or yoghurt so they feel part of the action – but the focus is not so much on what they’re eating. There’s nothing like an urgent poo or wee to distract a toddler (and everyone else!) from their dinner. So before you sit down check if anyone needs the toilet first. It’s a good way to remind everyone to wash their hands before eating too. Young kids are never going to want to sit at the dinner table if they are uncomfortable or can’t access their food properly. Once the highchair dream is over, make sure their seat is right height so they can eat comfortably. Try and avoid strapping them into any special seats or devices as they will fight this and it will be a whole lot of stress for everyone. If all else fails you can also try putting them on a smaller table and chair next to the main table, or have them sit on your lap so they’re eye-level with everyone (not so much fun for you, of course). Ah, the power of distraction! There are all kinds of fun placemats out there now for kids which will keep them entertained while eating their dinner, such as educational designs with alphabets and pictures, or disposable paper doodle mats so they can eat and draw (just like at a child-friendly restaurant). Another way to spice things up is to use funny plates and cutlery, or display the actual food in an interesting way. You could try a face with spaghetti hair, carrot nose, meatball eyes and broccoli mouth. Whatever it takes to hold their attention and entice them to chow down with everyone! 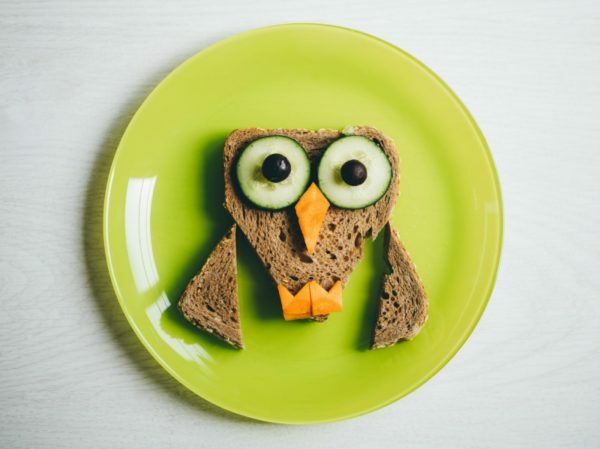 If your toddler doesn’t see anything that they like on their dinner plate they might just take off so be sure to include at least one item that you know they will eat. This will be an easier way to encourage them to try new things whilst making them feel comfortable that there’s also something familiar and yummy there too. My family plays the Sweet and Sour game where we talk about the best and worst things of our days. It’s a great way to connect with the kids and keep them bound to the table. Other options could be I Spy or word association/rhyming games – just as long as they don’t need to get up to play and it doesn’t get in the way of them eating. For the very opposed toddler, allow them to have one toy at the dinner table so they’re “in it together.” Just make sure it’s nothing too distracting, such as an electric car, and if it’s a soft toy be careful to place it somewhere where it won’t get smothered in tomato sauce and pumpkin soup! This seems obvious however parents are always jumping up and down to get more dishes and glasses of water, etc. If you’re bobbing up and down then your toddler is likely to want to as well. Avoid this by being as prepared as possible before you sit down. Switch off phones and let them see you slow down and enjoy your meal beside them. The last resort! If nothing else is working then give in and let your little one wander about during dinner. While it’s not ideal, the more you force them to stay at the table or punish them, the more they will hate it. Lead by example instead and don’t sweat it if they don’t stay put (a bit of sausage on the floor isn’t the end of the world right?). Chances are they will come back of their own accord for another bite or two, and in time they will understand that dinner time is family time, and it’s at the table. Do you have any tips or tricks for getting toddlers to stay at the dinner table? Share them with us on our Facebook page!